The prophet Solomon appears in many stories and is a central figure to the origination of a slew of religious tales. Our Black King Solomon Sword is inspired by the weapon he carried and includes a plaque for display. 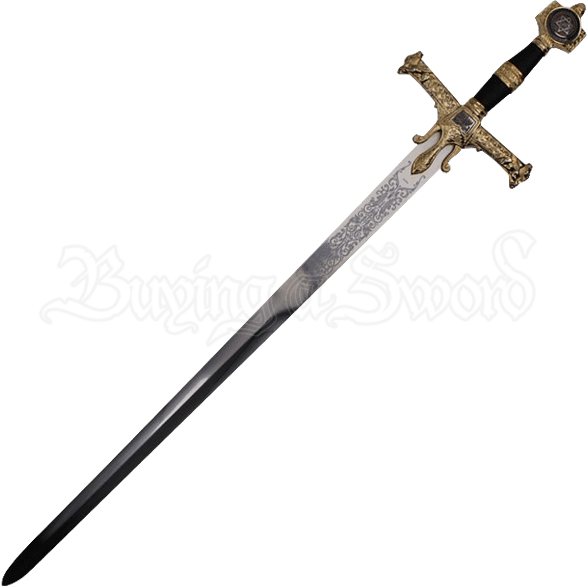 Every piece of this decorative stainless steel sword has something to look at. The ornate golden guard with a black hand and a half grip is nicely rounded out by the wide pommel that displays a dark bronze star of David. The markings on the steel near the riccaso offers a touch of detail that is found in various forms of artwork. This blade is a great display item for anyone fond of the stories of Solomon.